The Lazarus is a three reed call custom designed and hand built by NWTF Grand National Calling Champion Jesse Martin. This is the latest in a line of unbelievable realistic, yet extremely easy to use mouth calls designed by Jesse. Field proven during 2018 Spring season. 2017 NWTF Grand National Calling Champion, Jesse Martin has teamed up with American Strutter® to produce some of the most realistic mouth calls to ever hit the industry. 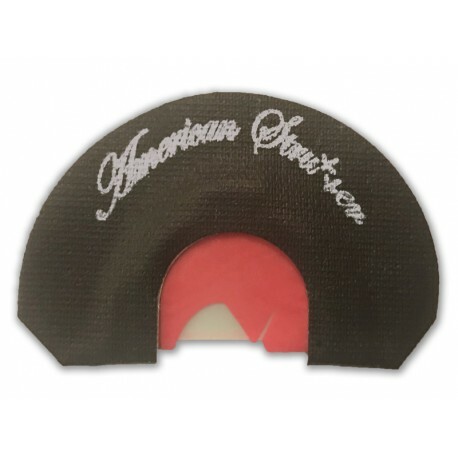 As American Strutter® Calling Team Manager and mouth call builder, Jesse has come out with his line of a 'Loose Stretch Series'. Hand stretched one at a time, this series of calls is a must have for your turkey vest this Spring or Fall.